Welcome to Eagles Nest Aerodrome & Seaplane Base. Located in northeast Florida in scenic Putnam County. 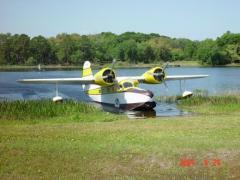 Eagles Nest is a private fly-in community nestled amount the pine and oak trees on lovely Lake Estella. The area is dotted with lakes and just minutes from the St. Johns River. 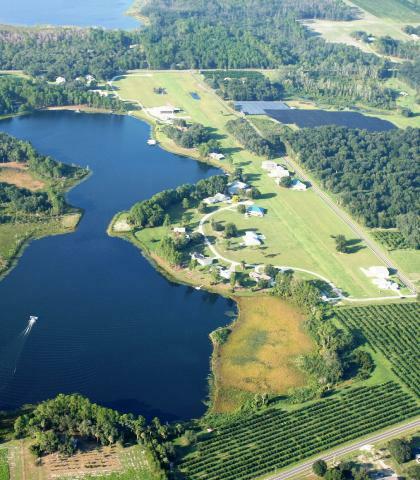 This peaceful airpark is just far enough away from urban life to provide a feeling of relaxation and safety, but close enough to enjoy activities in Florida's most visited tourist areas and return home the same day. 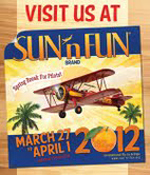 For more information regarding Putnam County and the surrounding area, Please visit www.putnamcountychamber.org We are centrally located between Jacksonville and Orlando, Florida's entertainment mecca. You will find yourself within a 45 minute to Daytona International Speedway and beaches or St. Augustine historic downtown & beaches. Eagles Nest Aerodrome & Seaplane Base is a pilot's dream. Imagine walking out your back door into your own private hangar, taxing to the runway or seaplane base and being airborne in minutes. In this serene airpark you will find a send of community, a feeling of belonging. 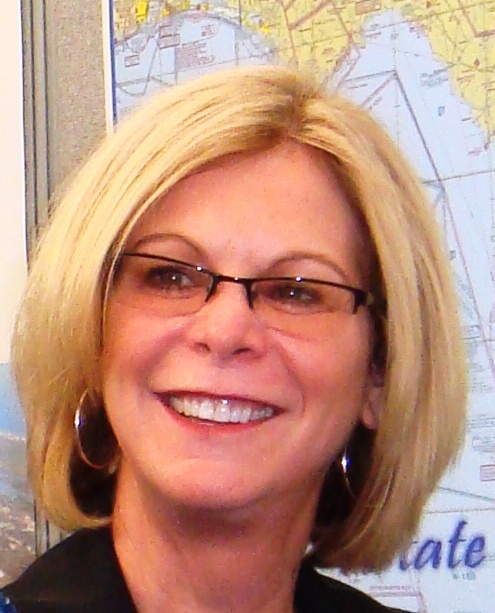 Enjoy neighbors who are drawn together and share a common interest in aviation. 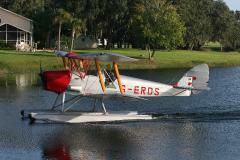 The types of aircraft vary from a Grumman Albatross seaplane to a Tiger Moth on straight floats. Although flying interests are varied and we are a diversified group everyone shares a love of flying. Eagles Nest Aerodrome & Seaplane Base has a 3200 ft. turf runway and a 3200 ft. seaplane base. All home sites are one acre plus, with homes and lots available on the lake and runway. 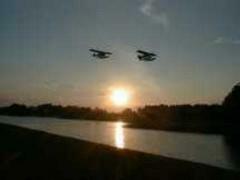 Everyone has access to the runway and seaplane base either directly or via taxiways. Currently there are a total of 34 lots and 22 homes. The property is being developed to hold 30 families. Eagles Nest will remain a small community, very upscale yet rustic, an oasis in the middle of rural Florida. An active homeowners association maintains the private taxiways, the lighted and irrigated turf runway, as well as common areas that abut the lake. Take Hwy. 17 to Crescent City. Take Hwy. 308 West. Eagles Nest is 5.9 miles on the left. At the Eagles Nest sign take a left on Eagles Nest Drive. Follow straight back to the cul-de-sac and take the only driveway to the left. We are in the hangar office in front of the Albatross at 101 Eagles Nest Drive, Crescent City, FL 32112. Beautiful Waterfront Hangar Home with private waterfront patio and dock. 60 by 60 attached hangar with bi-fold door. Need to see to appreciate all the amenities.